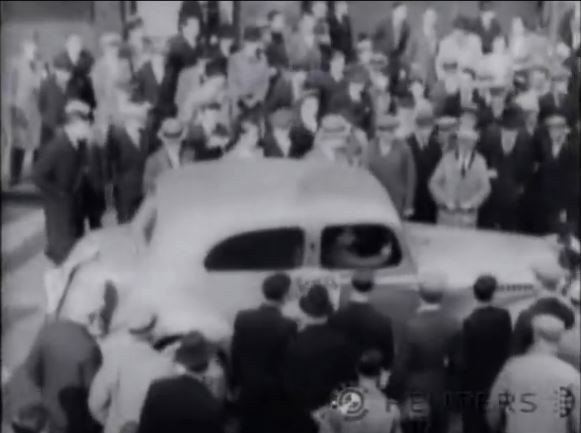 IMCDb.org: 1936 Hudson Terraplane Six in "London - The Modern Babylon, 2012"
One of the few identified events - the Battle of Cable Street in 1936, a riot against a march by Oswald Mosley's Blackshirts. 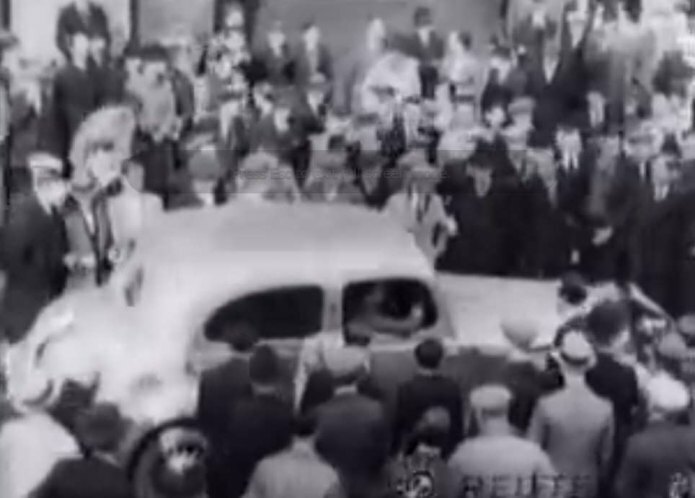 This car reverses at speed into shot and then drives forwards into the distance. 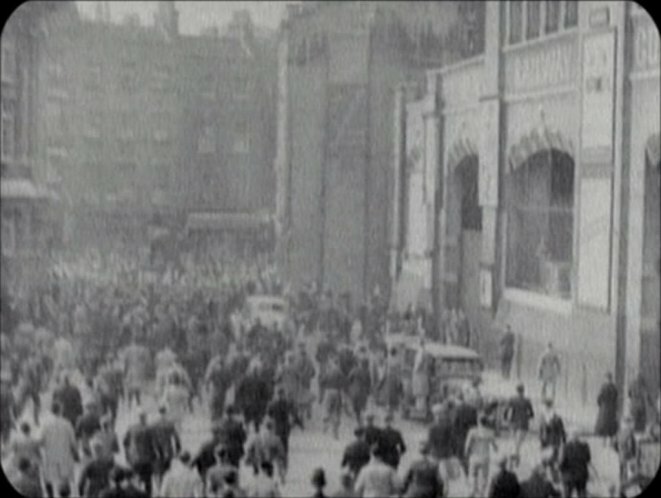 Probably famous archive footage. ...strange to say in UK at the times but it looks to me a Simca or a Fiat 1100...!!! Of the two makes, I think only Fiat possible here - as far as I can tell we did not get Simcas until after WW2. IIRC the first Simca sold in the UK was the Aronde 90A in about 1956. I'm not sure this is a Fiat 1100, it looks big enough for a 1500; in any case I'm surprised too. 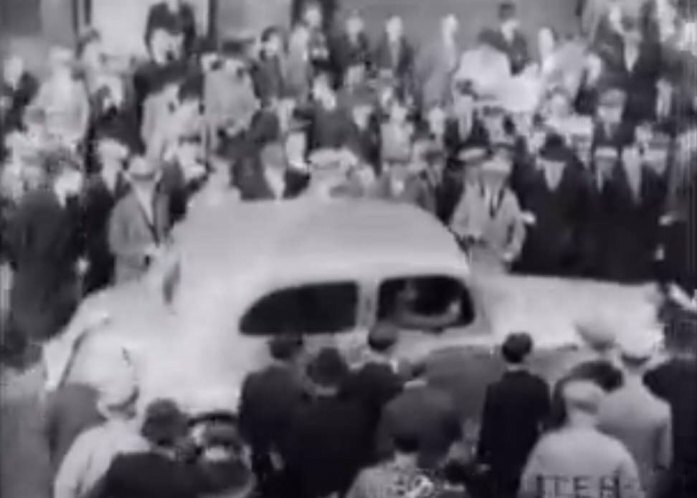 The 500 Topolino sold quite well in the UK before the war but I don't remember seeing either of the larger models. 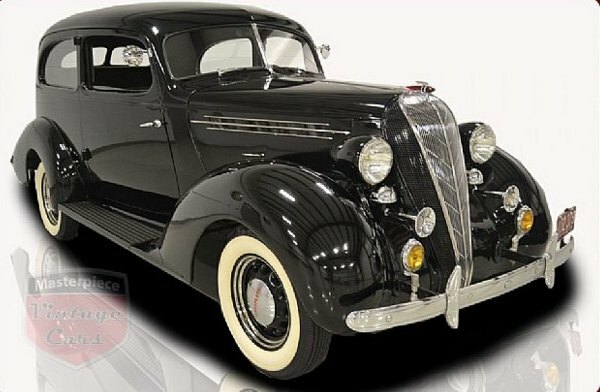 Glass's has several Fiat types listed in 30s, including 1500 from Aug 35. Earliest as listed was 508 (Ten-type) and Balilla from Sept 32; also 500 from Oct 36, Ten-Twelve [508C] Sept 37, 2800 (Oct 38) but no 1100 as such until after WW2. 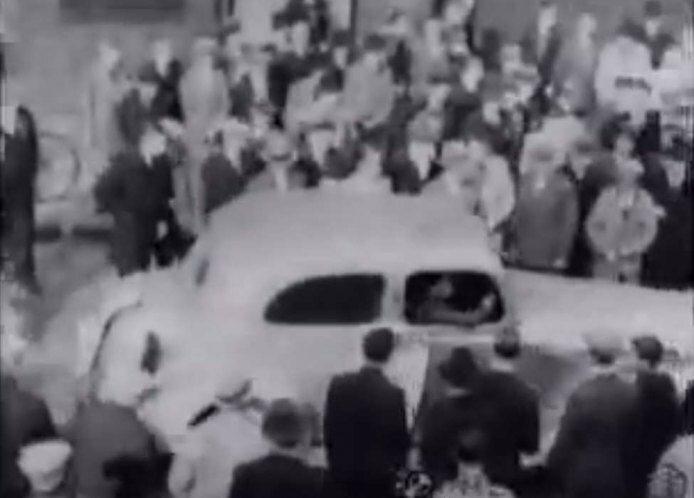 Simcas started with Five (May 46), Eight-1100 June 46, Six Oct 48, Nine-Aronde Apr 51, Aronde 1300 and Vedette Oct 55. These very early Glass's can be a bit approximate (info from 1956 edition - I've also got a 46 edition but that's much briefer, and neither really go further back than 1932 for anything very much) so I treat with slight caution but are probably the best info available without a specific make/model source. So are we happy with Fiat 1500?? Or?? 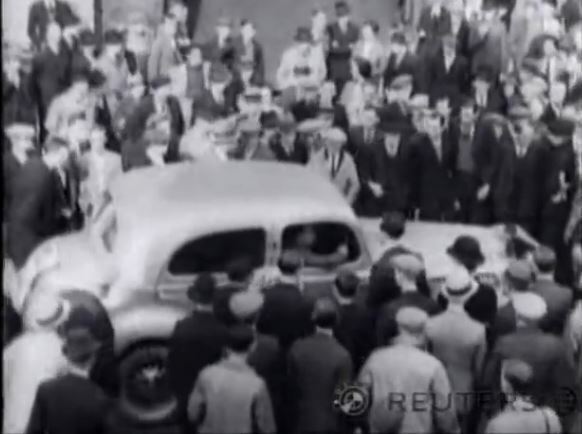 I have no detailed experience of 1930s Fiat 1500 (or 1100) but I would say the Cable Street car is considerably larger than I would expect. 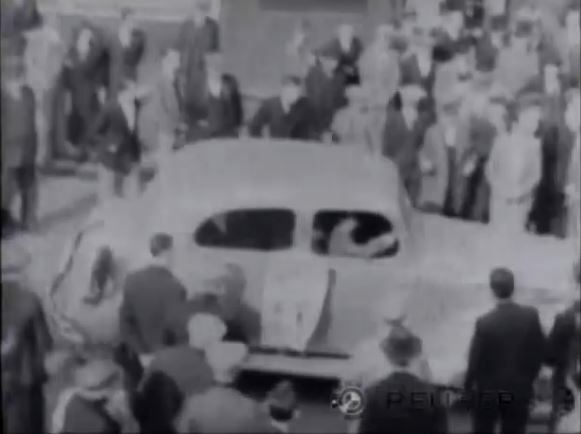 From newsreel footage immediately before the car reverses (it has posters on front back and side). The similar match is... 1949 Fiat 1500 E only. Only similar. 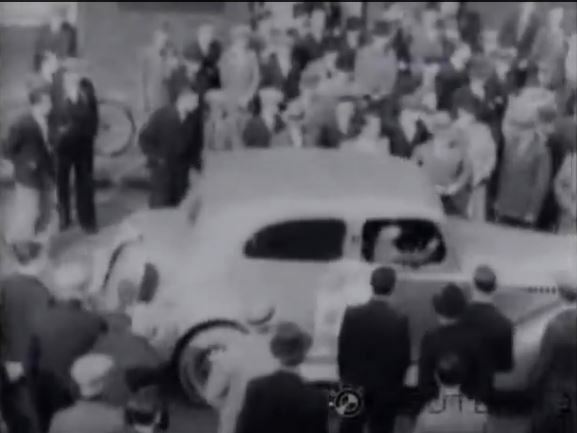 However, if we know 1936 as correct date of this event, Fiat 1500 is excluded with easy. Because that time it had flush headlights. Large quarter windows in front doors also (for A to E serie). and now thinking something UK with semaphores. 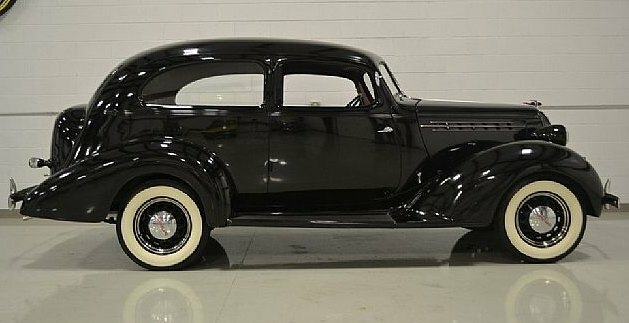 Wheels look distinctive and maybe bonnet side trim. Has running boards as well and a distinct boot. 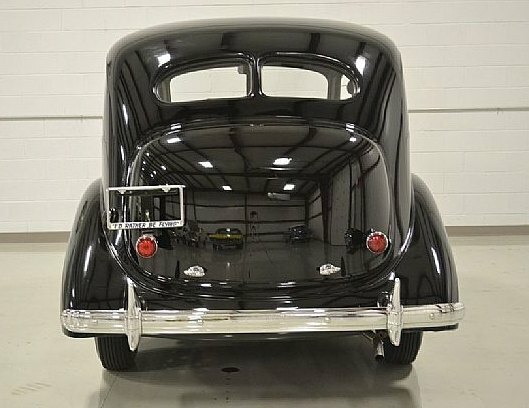 No 3rd side window, so I guess not Austin or Hillman?? So Ford or Standard or Morris or???? Bonnet side vents, divided rear window, side glass shape and location relative to rear wheel-arch. 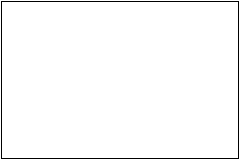 Looks good to me. Pleased to see this sorted - seems too famous an event to remain unsolved. 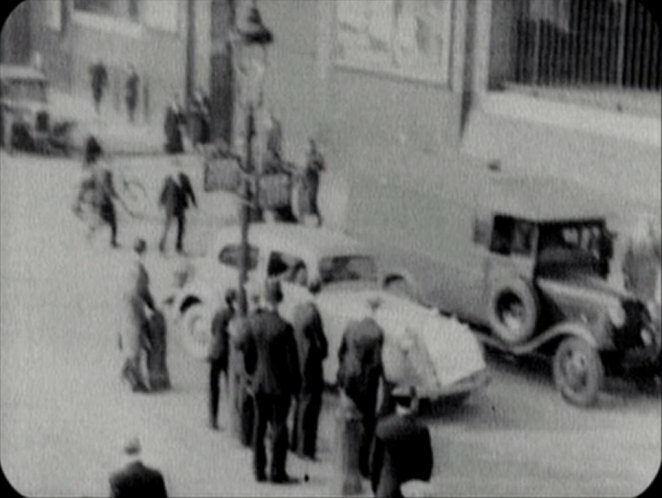 The other event with an unknown limousine is still proving to be a problem with no newsreel footage found in the 1920s or 1930s as yet! 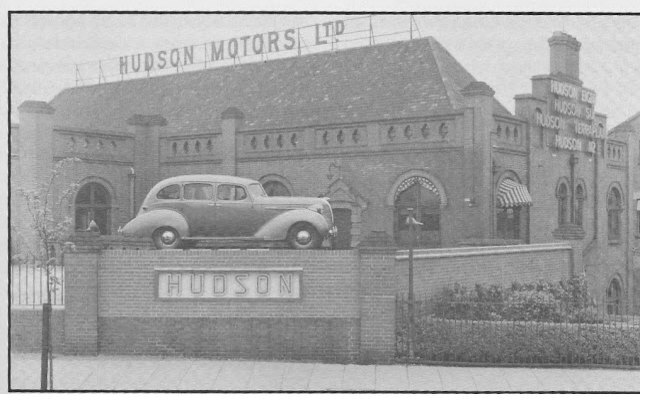 The Hudson Essex Motor Company formed in 1922 was well established in the UK, when it moved from Acton to Chiswick in the spring of 1926. 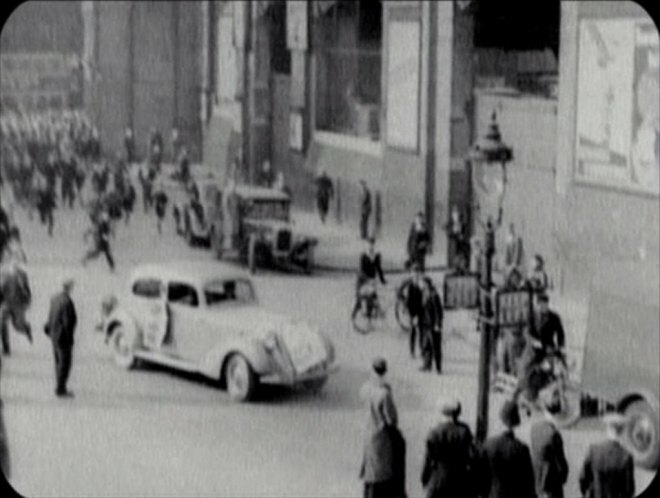 The motor works assembled vehicles from imported 'completely knocked down' kits with interior trim and seats produced locally in English leather.